The process of switching one's phone used to be a tedious task back in the day. In more recent years, manufacturers have been kind enough to develop special apps and streamline the process of transferring the data from your old handset to your new one with the least amount of headache induced (check out our articles on the HTC Transfer, Samsung Smart Switch, and Sony Transfer). 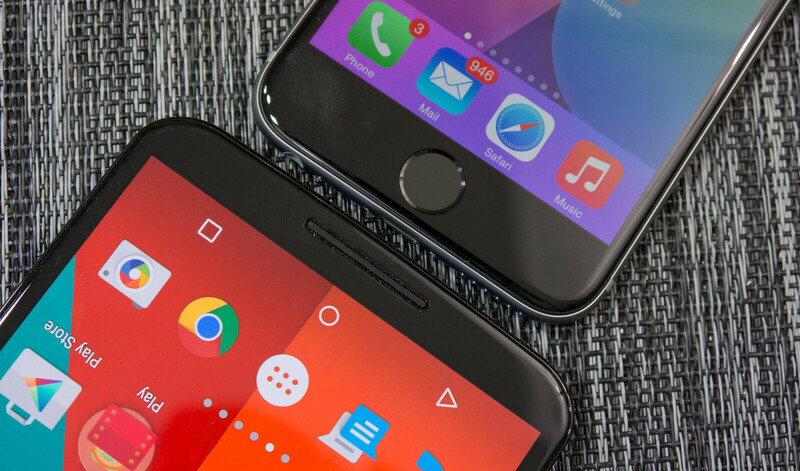 However, the one switch that still keeps a persistent bad rep is the jump from Android to iOS – due to the latter's closed-off environment, it is often believed that switching to an iPhone involves a lot of work, waiting, and violent cursing. Well, in fact, the process is quite easy. Last week, we took a look at how to sync our most essential things to a new iPhone – the contacts, mails, and calendars. This week, let's check out how to transfer all our pictures and clips from our old Android handset to a new iPhone. Now, unfortunately, iOS does not accept any sort of music files unless it comes through the iTunes app / PC sync program. This is one of the more major annoyances of the platform for sure, and if you have some favorite digital tracks that you wish to put on your new iDevice, you'll have to go through the good old connect-phone-to-PC-and-launch-iTunes process. So, back to pictures and clips, check out the slideshow below to see what you need to do. When you first launch the app on iOS, a series of prompts will ask whether the app can have access to Contacts, Calendar, Reminders, and Photos. Copy My Data needs these permissions so it could successfully... you know – copy your data. Launching the app on Android will not bombard you with permission requirements – those have already been given when you accepted to download the app from the Play Store. So, now that Copy My Data is active on both handsets, there are two ways you can go about the next couple of steps. On the iPhone, you should now be able to see your Android handset. Tap it to connect, then choose “Copy data from selected device”. Whichever way you did it in the previous step doesn't matter – you end up here. Your old handset will display a security PIN, while the iPhone will ask you to enter that exact code on it – that's just a layer of protection, in case someone else is within range and using the very same app. Once the connection has been established, choose what you wish to copy from the Android phone to the iPhone. Notice it's also possible to transfer your contacts and calendar events, so if you haven't done the Google account sync we talked about last week – you can copy them this way instead. Once the copying process starts, it's a waiting game. Your content should soon find its way to the iPhone. But camera roll pictures from ios is still can't be shared. This should be helpful for anyone looking to make the jump down from quad hd to HD. Agreed. Can't image a time where I would ever want to nor require achieve this task. Mind you, I assist people all the time whom ask me "how do I get photos from my iphone to my pc, or android?" I meant me getting an iPhone... Nunca. Im switching from an iPhone 6 to Samsung Galaxy S6 Edge, i need the opposite godamn it! Someone needs to clear out their e-mail. Thank you, most people that I know are confused by their own android phones. I can finally direct them to this when they switch. The reverse is not possible. How to move data from iPhone to android coz unlike Google, Apple will never make any such app. The most effective way to transfer Android files to iPhone is to use a professional program- MobiKin Transfer for Mobile. With this software, you are free to transfer files between Android phone and iPhone. Its supported file types include contacts, text messages, calendars, music, photos and videos. This Phone Transfer software allows you to easily and directly transfer files from Android to iPhone. With this software, you are free to directly copy Android files to iPhone without a third-party tool. Various files can be supported, including contacts and eBooks (PDFs and ePubs). And this software is quite easy-to-use!